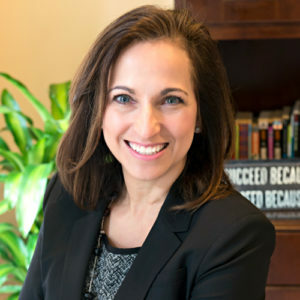 In the five years since she founded Latino U College Access in White Plains, New York, Shirley Acevedo Buontempo, now the nonprofit’s executive director, has put together some impressive statistics. Seventy of the current scholars in her program have enrolled in college— 66 percent at four-year private schools, 26 percent at four-year public New York city and state schools—and 100 percent have remained in college. Acevedo Buontempo’s mission when she created her organization was to increase college enrollment among first-generation Latino students. According to the 2010 US Census, the number of people identifying as “Hispanic or Latino” in White Plains’ Westchester County grew nearly 44 percent in the previous decade, and seven of the county’s school districts now have student bodies that are 50 percent Latino or more. In the two years since Hispanic Executive last checked in with Latino U, the organization has added a number of programs to its repertoire. Here’s a look at just a few of them. to give back to her community, so she’s been volunteering with Latino U for the past four years and has even served as its board chair. In addition to the student- mentor partnerships, Latino U now offers boot camp sessions to help students and their parents fill out the Free Application for Federal Student Aid (FAFSA) form. Latino U hosted five boot camps last year and will host six this year. It’s a major part of the organization’s commitment to the White House Initiative on Educational Excellence for Hispanics, made in October 2015. It promised to help nine hundred families complete the FAFSA application, and as of the first half of 2017, it had already aided 607. Launched last year with the support of a $100,000 grant from Impact100 Westchester, First Gen Forward is Latino U’s program for continued outreach to first-generation students once they’re in college. Latino U’s work through First Gen Forward and other programs has earned it many accolades, including from Acevedo Buontempo’s alma mater, Pace University. It was selected as the school’s 2015-2016 Social Enterprise in Residence, a role in which it served as a case study of a social enterprise in action for the university’s faculty and students.